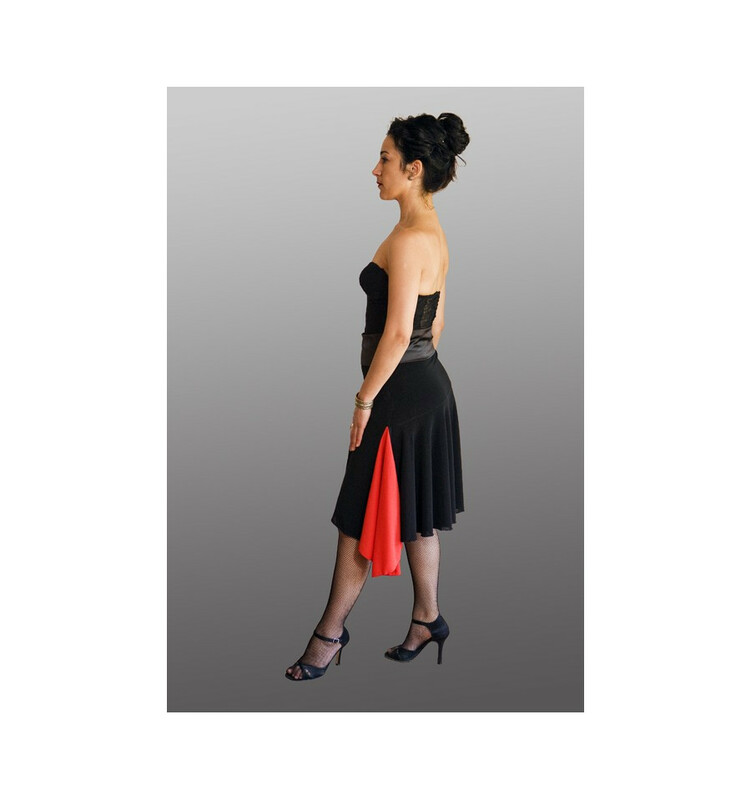 This bell-shaped tango skirt is slightly asymmetrical thanks to the Godet pleat in red fabric, which makes it very wide, feminine and most of all a perfect skirt for dancing. It hugs the figure because of the 2-ply lining around the hips and the stretch fabric. This wide-flowing skirt is made for the Tango. und so bequem beim Tanzen. verrutscht nicht und schwingt ....ich fühle mich als wäre ich eine Top Tänzerin ...auch wenn ich es noch nicht bin. Dank an die Designerin!